Vandorens Klassik String ligatures offer a perfectly centred sound, due to their precise fit around the mouthpiece. 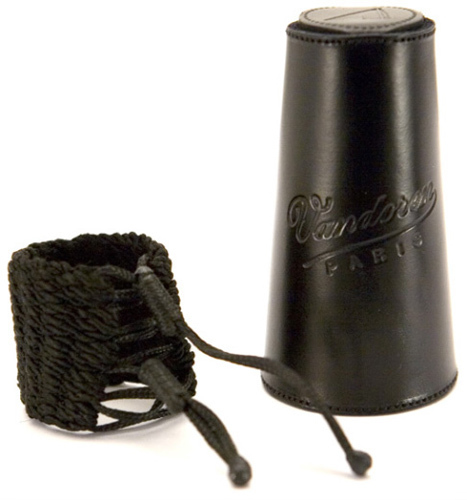 The woven ligature is easy to fit and adjust, whilst ensuring consistent hold and pressure on the reed. This ligature would be suitable for any intermediate or professional player, looking for a top-quality ligature to facilitate a perfectly centred sound. Provided with a leather cap, to protect your reed when not in use. Fits most plastic, and ebonite German and Austrian style clarinet mouthpieces. Not suitable for French or American design mouthpieces.